As you approach Periwinkle, you will know that you’re arriving at a housing development with a difference. 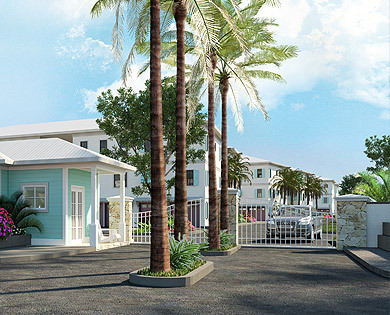 The stunning gates open onto a lush boulevard, a beautifully landscaped thoroughfare with vibrant Caribbean planting, that provides the perfect introduction to the neighbourhood. The Clubhouse is immediately to your left, denoting the community feel that this development embraces. The driveway winds through the shared green spaces and enclaves of homes, mimicked by safe pedestrian walkways that create the network of access throughout the development. A stunning 4,200sqft shared entertaining area that includes a deck, BBQ and outdoor kitchen – the Clubhouse will be the epicenter of community life at Periwinkle. Situated on the canal front with shaded seating areas, overlooking the 60ft stunning swimming pool and bubbling Jacuzzi, the clubhouse will be available for parties, relaxing at the weekend and alfresco dining with friends and family. 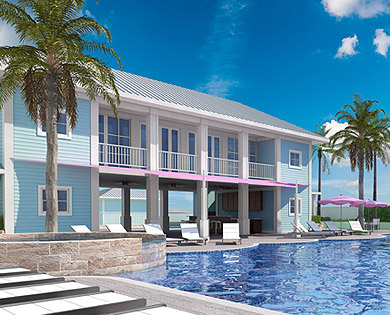 The Clubhouse will house paddle boards and kayaks for residents to share, creating a uniquely designed location that will be the hub of activity for all Periwinkle residents. Creating inspiring green spaces was at the heart of the initial design for Periwinkle. The walking (or running for those with a bit more energy to burn off) path loops the perimeter of the Periwinkle development, ensuring residents can get fresh air, in a beautiful setting that is safe, as well as providing an amazing space to exercise in. Whether you run everyday to keep fit, walk the dog or stroll with your children, the walking path will be come an valuable addition to community living. Pedestrian access to green spaces is another strong design feature at Periwinkle. The walking paths link to homes and shared spaces, developing a sense of outdoors and freedom. 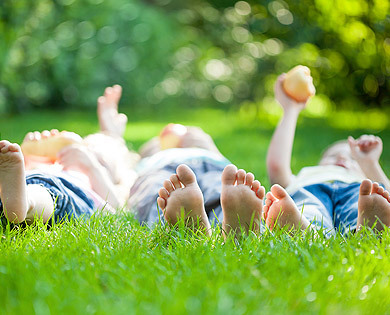 The green spaces flow throughout the community, creating places for kids to kick a ball and ride their bikes, dogs to fetch sticks, adults to sit and read a book and for everyone to connect a little better with the lush environment surrounding them. PHASE 1 Cottages are now available for pre construction purchase. The cottages are surrounded by green landscaping with a traditional Cayman terrace, perfect for watching the sun go down. These homes are ideal for people looking for that genuinely ‘local’ feel. Accessed by a shared driveway, each home has a private garage. 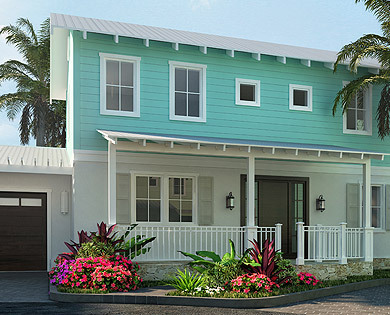 There are three different sizes of Cayman Cottage to choose from: 2 bedrooms (2200 sqft); 3 bedrooms with (2400 sqft); and 3 bedrooms (2600sqft). The beautiful kitchen, equipped with all the mod cons flows into the open plan living and dining area, featuring a modern interior design with a cool palette. PHASE 1 Courtyard Townhomes are now available for pre construction purchase. These stunning, spacious Townhomes span three floors and are available with two different sizes/floor spaces: 3 and 4 bedroom homes (3200 sqft); and, 3, 4 and 5 bedroom homes (3600 sqft). Pre-build buyers can choose their preferred floor plan configuration. The open plan kitchen, living and dining area will be situated on the second floor, with the bedrooms situated on the third floor. The kitchen will be fitted with the highest spec energy efficient appliances and a sleek interior design. The Townhomes also benefit from having free, private dock space as part of the home ownership. PHASE 1 Waterfront Townhomes are now available for pre construction purchase. The spacious Waterfront Townhomes offer families luxurious living in a secure, private and modern environment, with 3 and 4 bedroom homes (3600 sqft) and 3, 4 and 5 bedroom homes (4200 sqft) to choose from. The open plan kitchen, living and dining area will be situated on the second floor, with the bedrooms situated on the third floor. The kitchen will be fitted with the highest spec energy efficient appliances and a sleek interior design. Located 30ft from the private dock with unprecedented canal views and a stunning outside balcony, these Townhomes are truly magnificent. 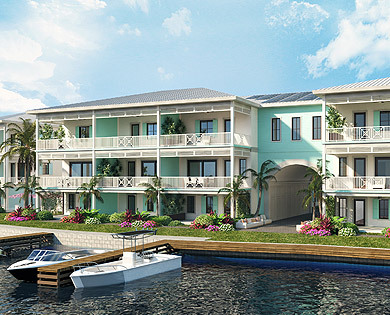 A dock space is also included in the Townhome ownership. 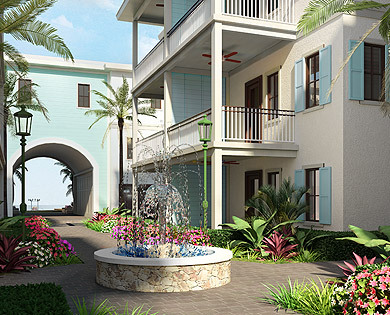 The final phase of Periwinkle will include 3,4 and 5 bedroom contemporary cayman style villas. The villas will be 3300 to 4300 sqft, offering the spacious floor plan options with some of the most stunning views of the north sound. The true essence of the Periwinkle community and design will be captured by these 10 Villas. This phase is due to be developed by 2020 and will complete the stunning range of homes available at Periwinkle. Each of these villas will be situated on the waterfront and will complete the development in terms of architectural look and feel, as well as being the last phase to be built.